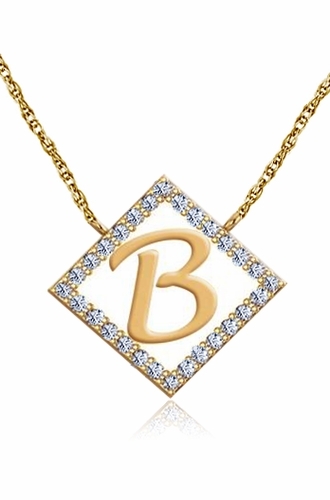 Our Initial Pave Set Cubic Zirconia Pendant Diamond Shape Halo Necklace is the perfect personalized gift for that special someone. 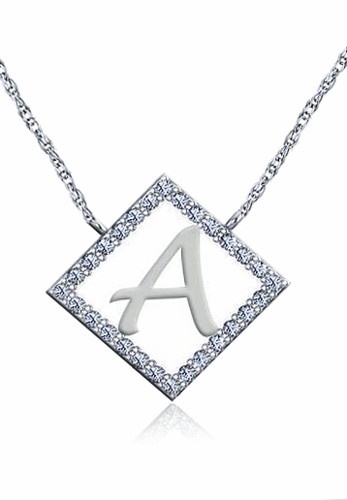 Choose any letter from A to Z and then your metal option of 14k yellow gold or 14k white gold. 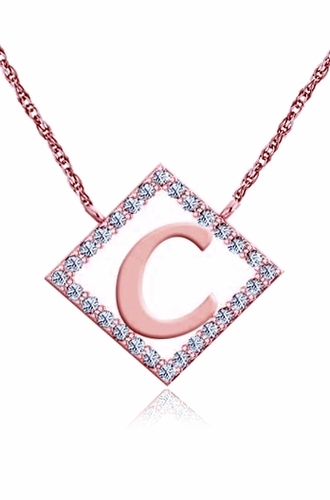 We also offer 14k rose gold via custom order, please call us directly for pricing. 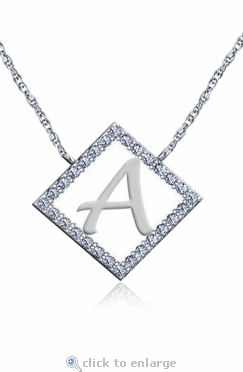 Each initial diamond shaped halo is adorned with pave set round cubic zirconia, Russian formula stones that are hand cut and hand polished to exact specifications. Each pendant includes a 16 inch length chain that is permanently attached and an 18 inch length is also available, please see the pull down menu for options. 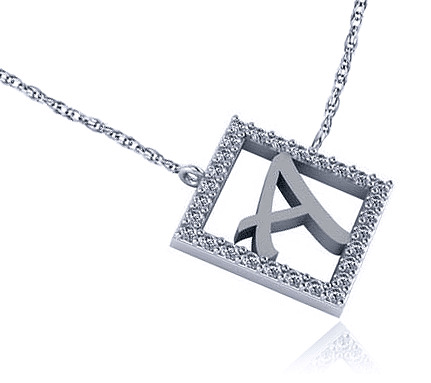 The pendant measures approximately 17mm in length and a thickness of approximately 1.3mm with an approximate .28 of a carat in total carat weight. Each necklace is sold separately. For further assistance, please call us directly at 1-866-942-6663 or visit us via live chat and speak with a knowledgeable representative.